This subject has been on my mind lately. There has been chatter on social media about outsiders from other areas who have been moving in to guide in the Florida Keys. Florida guides who have been moving over to the Louisiana Marsh to guide for Bull Redfish during the slow period in the Keys. Many blame guides for the crowded situation on the Madison and other rivers. Illegal guides that are taking over some of the most popular rivers are bringing about a lot of attention in New Zealand. Most of these issues are a direct result of limited resources that can only accommodate a limited number of guides or guide wannabes. It was different when I got into the game back in 1974. I was fishing the Henry’s Fork during the salmonfly hatch on the lower Henry’s Fork. As I was walking down the road Jim and Louis Danskin pulled up. Jim had a nice shop in West Yellowstone. I always stopped in all of the shops whenever I was in West including Bud Lilly, Bob Jacklin and Jim Danskin. Sheralee and I tied flies for Pat Barnes. 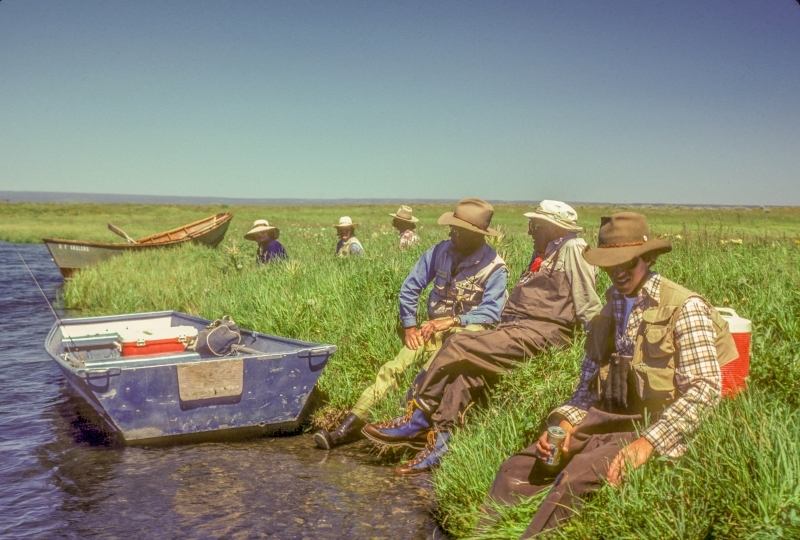 I really looked up to these great outfitters and I was more than excited when Jim offered me a guiding job. He told me that he needed somebody who knew the Henry’s Fork. I got licensed in both Montana and Idaho. We ran our own shuttles back in those days and luckily I hitched a ride from the takeout back up to the West Fork with Pat Barnes. I did a little crying on his shoulder. I can’t remember exactly what he said other than if I did the best job I could everything else would take care of itself. My trip went well. I felt something special, very much like the feeling I had when teaching 13-year olds in junior high school how to turn a few pieces of wood into something special. The remainder of my apprentice season went well. 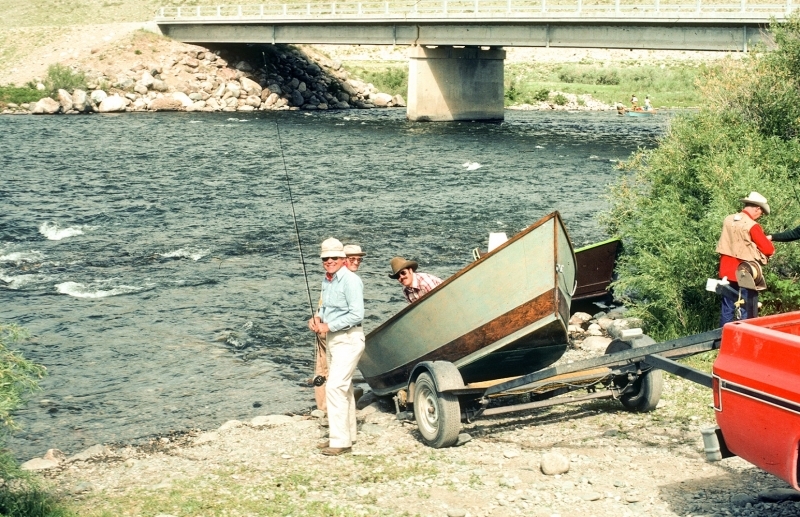 Even though I had primarily been hired to work on the Henry’s Fork, most of my trips were on the Madison. A couple of years later, after I had my own outfitting business, I frequently visited with Pat Barnes, Bob Jacklin and Bud Lilly about the ins and outs of the guiding business. Jim Danskin had already retired or I would have been bending his ear as well. These guys were my mentors. They had paid their dues and earned my respect. I wanted to be like them. I was lucky. The first guides I hired including Jerry Siem, Jim Vermillion, Bob Lamm, A J Campbell and Bob Kelly had worked for Jim Danskin or Will Godfrey. They had paid their dues. I also looked up to them, admired them and I learned from them. Early on I set a goal to be the best outfitter in the business. I had been given much and I have always felt an obligation to pass it on. To this day I have never forgotten the examples they have been. There weren’t many trips in the old days. Bob Lamm sometimes had 3 or 4 days between trips. During that time he would head up to West Yellowstone trying to drum up trips. He was often successful. When we weren’t guiding we were learning new water. A vivid memory is the first time A J Campbell, Curt Barker, Tim Stamm and I floated the Henry’s Fork from Riverside Campground to Hatchery Ford, a treacherous stretch of whitewater. We didn’t know anybody who had floated that section of the river. We stopped at every bend and walked downstream to see what was ahead. The takeout was little more than a trail that snaked through boulders up the face of the canyon wall. It was impossible to negotiate with any 4-wheel drive vehicle other than a short wheel based Jeep, Toyota or Ford Bronco. We’re lucky we didn’t roll a vehicle or boat down the side of the canyon. The positive side of that was we rarely, if ever, saw another boat. Today things are different. People have more money. It only takes a few years for a guide to reach the 100 trip a season threshold, something that took guys like Bob Lamm 10 years or more to accomplish. 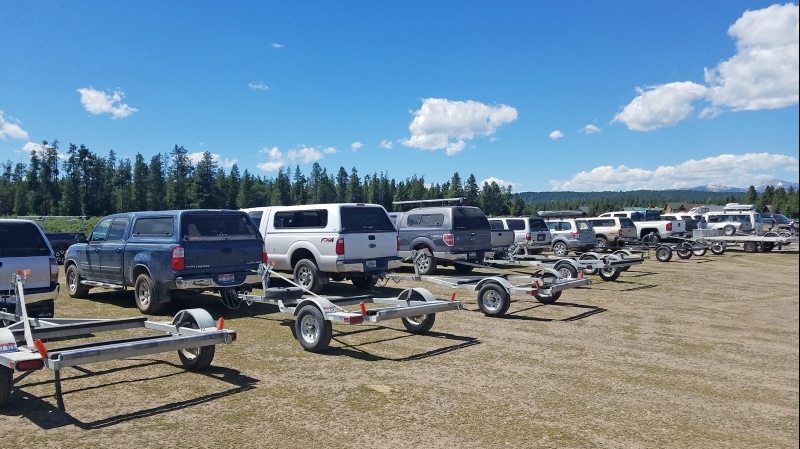 The direct polar opposite of the Bob Lamms of the business is the young guy who shows up with a brand new $55,000 truck with a camper shell covered with stickers from every company in the fly fishing business pulling a new $8500 drift boat. They are often members of the pro staffs or ambassadors for these same companies. Many of them have a set of rocket launcher rod carriers on top. They refer to each other as “dude” or “bro” and their day is “rad” instead of good. However the money they received from their family to purchase this stuff doesn’t buy them respect. They must pay their dues. I’ll admit that the guy I’m referring to is on the extreme end of the gamut but I see him on the water or in the parking lots almost every day. Most guides fall somewhere in between. As I said before, I have been extremely lucky. For the past 40 years or so the core of our guide staff has been five guys who have been working since the beginning. They also got started when Pat Barnes, Jim Danskin and Bud Lilly were still in business. They learned how the game needed to be played. These guys have also been mentors to me and more importantly to our younger guys. They have continued to exemplify the professional qualities and attributes required to not only be good but to be great. Sometimes new guides come to me and ask why the experienced guides don’t share much with them. I always explain that it is the unwritten code. It was the same when I started. You must learn to keep your eyes and ears open and your mouth shut. I always explain that after their first year one of two things will happen. Either the experienced guides will accept them, share with them, and reach out to them because they’ve earned their respect or we will fire them. No matter how good they are there isn’t a place for them if they can’t command respect from the other members of the team. Guides must also respect other guides in the business and more importantly, gain respect from them. Over the years I’ve fished with lots of guides in Argentina, Chile, New Zealand, Florida, Louisiana, Cuba, the Bahamas, lots of other destinations throughout the Caribbean, and many great destinations in the Rocky Mountain West. Most of all I enjoy going with guides who are on our staff. I’ve seen the best and I’ve seen the worst. Experienced guides usually know what their competitors are doing, what they are planning and above all show respect. Motoring on to a great tarpon flat or cutting directly across the path another guide is poling is not cool. Cutting another guide off while floating a busy river is another no-no. The examples of disrespect are too numerous to name. Unfortunately in today’s world all a guide has to do is own a good pair of binoculars and a GPS to learn everything that has taken and old pro years to learn on the saltwater flats. Disrespect for the non-guided public is likely the greatest negative that faces the guiding business. 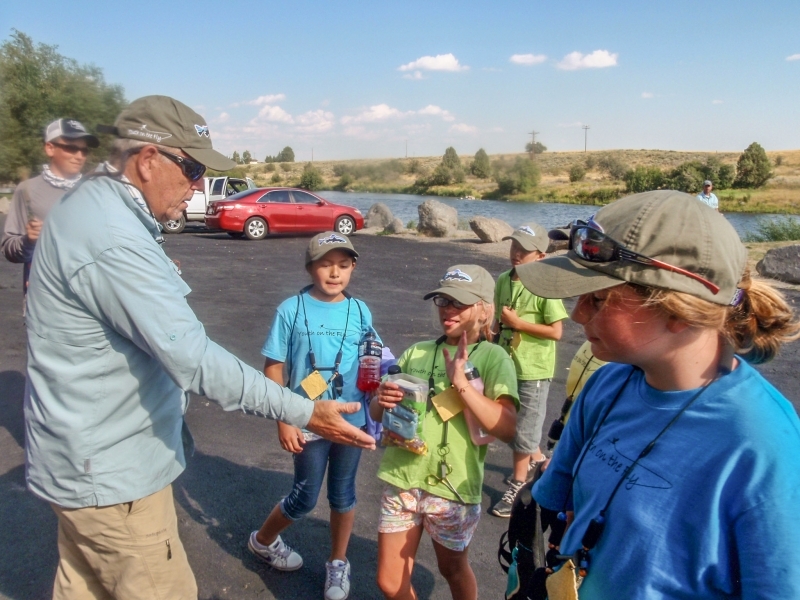 The “ME” element is all too common among younger guides today and it hurts everybody. They don’t seem to care about anybody else other than the clients they are guiding. They cut other boats off, float through water that is being fished by a wading angler, stake out prime fishing areas and the list goes on. At the parking lots or at the bars they brag about how many fish “they” caught. They didn’t catch the fish, their clients did. 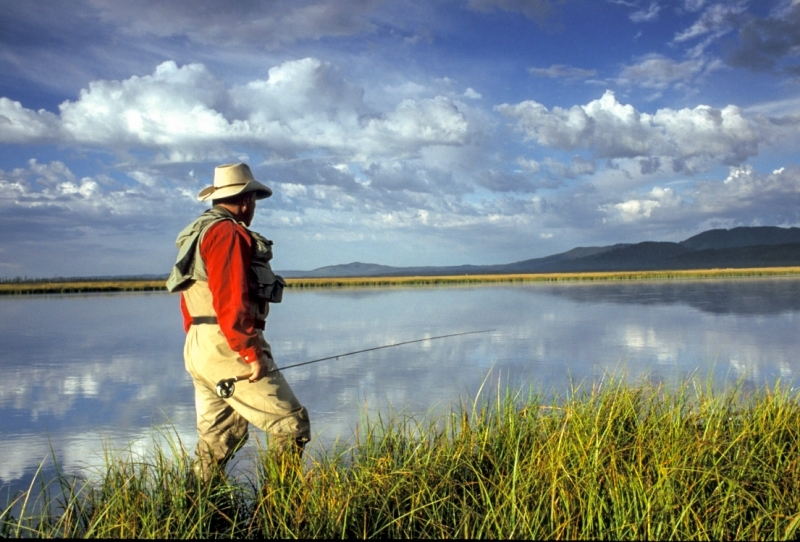 There is a perception that guide clients catch more fish than anybody else. I don’t believe it. Without question guides know the water better than the casual fisherman but putting the client over fish will not translate to success. 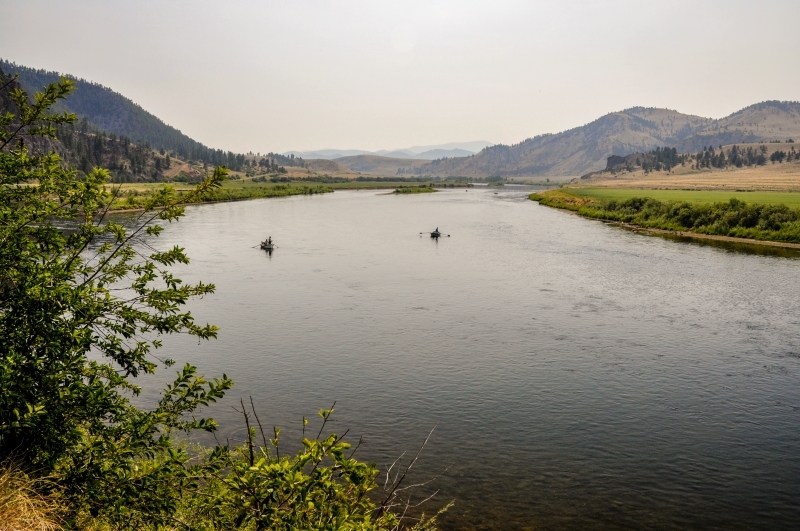 Occasionally a guide has a client who is a master with a fly rod and can maintain a drag-free natural drift. This doesn’t warrant a guide beating on his chest. Often the best guide is the one who busted his balls all day with a client who can’t cast 20 feet and keeping a drag-free drift was harder than becoming fluent in Arabic. Guides should play a significant role in protecting and enhancing our resources. Our livelihood depends on it. 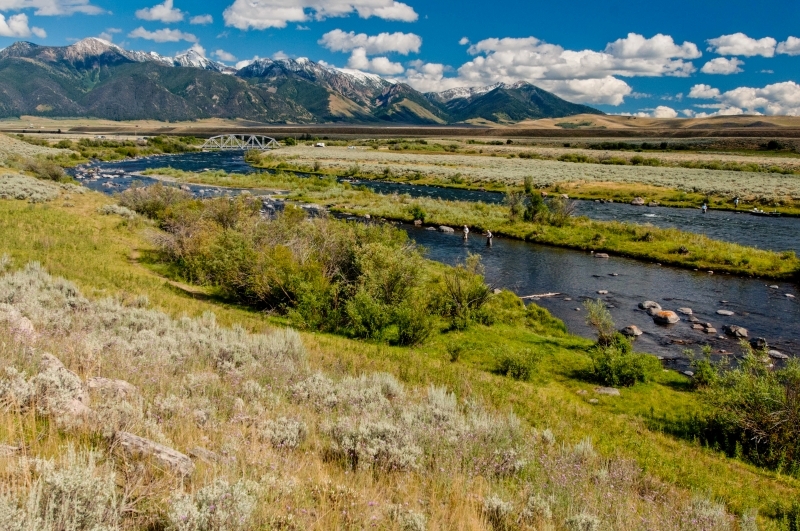 The Henry’s Fork Foundation, the Madison River Foundation, the Bonefish and Tarpon Trust and other like organizations have benefited greatly through the efforts of fishing guides. They heighten awareness with their clients of the importance of staying involved, joining and contributing to these organizations. Even though most guides can’t afford to drive a $55,000 truck and they can’t contribute much financially to these organizations, they do what they can. More importantly they can raise money by donating their services on behalf of these organizations. Last but not least is self-respect. 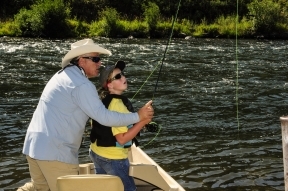 Most surveys indicate that clients who hire guides do not always rate catching more fish at the top of their list. Yet there are many guides who will go to any length save chemicals or explosives, to do just that. Bud Lilly’s theme for his little catalog was “The Total Experience.” I couldn’t agree more. Sometimes there is no other option than tying on a couple of nymphs below a bobber but it doesn’t need to be the first option. The reality is there is little difference between this and a six-year old kid catching Bluegills with a cane pole and a bobber. If that is the only way, so be it. However, the best days are when you can teach your clients something, offer an enjoyable experience, and catch some fish in the process. It takes a lot of hard work, experience, and effort to become great. Sometimes I’ve heard guys refer to guiding as a lifestyle. It’s much more than a lifestyle. It’s a job.